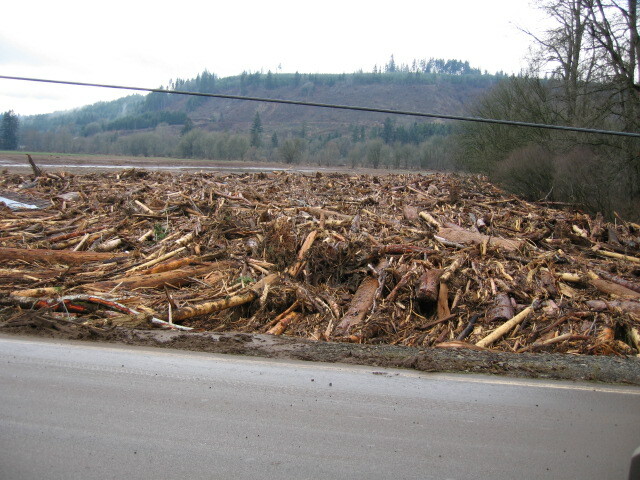 On December 3, 2007 the rains started over the snow covered Willapa Hills near the communities of Boistfort and PeEll. 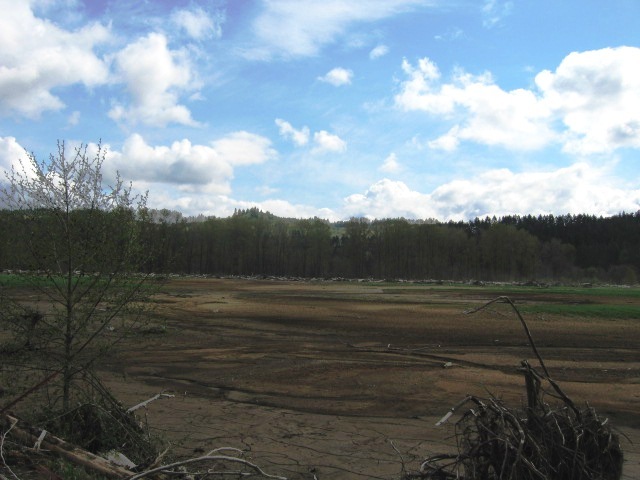 The combination of rain and melting snow caused the worst flooding disaster that anyone in Western Lewis County could remember. 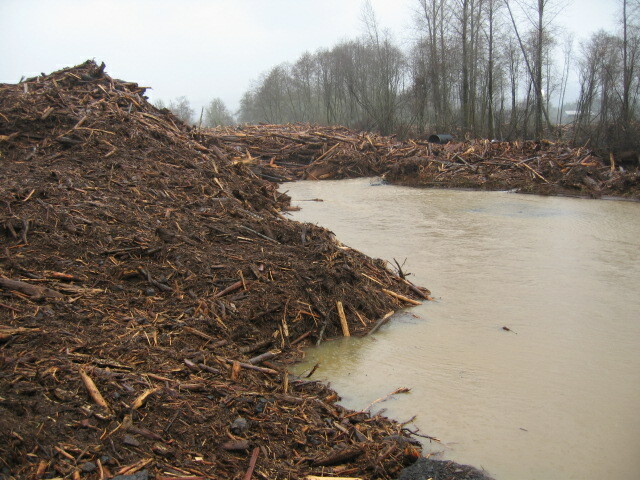 Landslides in the Upper Chehalis River Basin along with the massive amounts of water combined to devastate rural farming communities and the cities of Centralia and Chehalis. 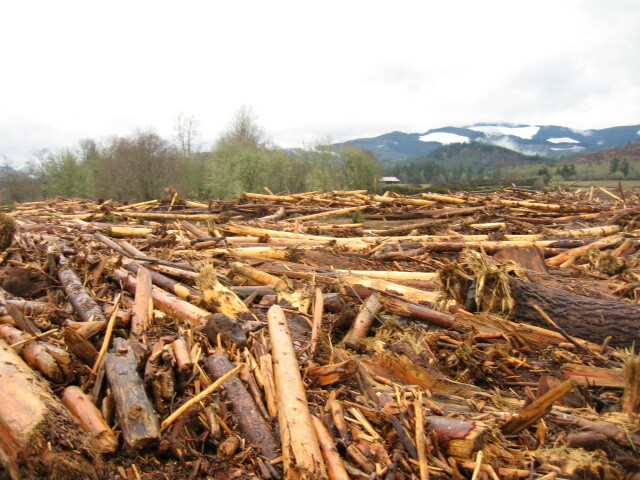 The Washington State Conservation Commission saw the needs of the farmers that had their livelihoods jeopardized and asked the legislature for financial assistance. The Lewis County Conservation District staff visited the farms and assessed the needs of the farmers. 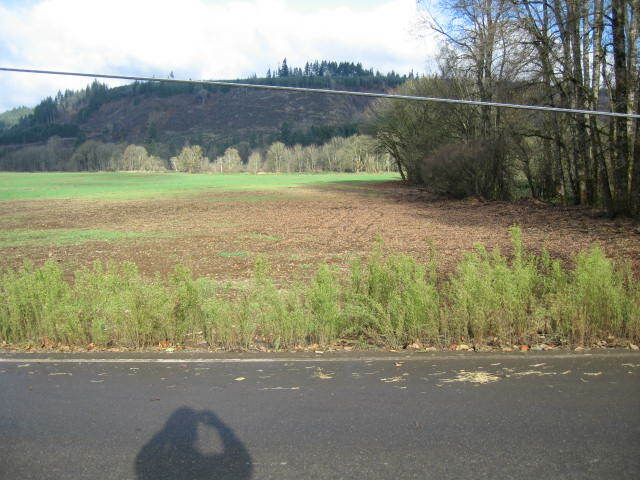 Cost share was provided to clear fields, fix fences, and reseed fields for eligible farms. January 2008. This site is near Boistfort. Debris was backed up by a bridge and destroyed this crop field. January 2008. This site is near Boistfort. The landowners had planted a buffer along the stream that is no longer visible. This site was a productive crop farm until the flood. April 18, 2008.